In part 2 of this 2-part interview, we’re back with real estate entrepreneur, speaker, and coach, Cole Hatter! How do you keep your mindset where it needs to be to become and remain successful? One of the huge pieces that helped Cole stay focused was accountability, and surrounding himself with people who would hold him accountable to living up to his potential and following through on his commitments. Another secret of his is finding quiet time to plan and think through your decisions. Next, on the topic of marketing, for someone who is looking to get better at speaking Cole has a great tip by following his 20/20/60 rule. Assume 20% of your audience is not connecting with you and you won’t win them over, 60% like you, and the other 20% love you. Speak to the 20% who love you. And, on the 4th and final pillar of a life on fire, networking, Cole’s advice is “invest in relationships in any way you can”. 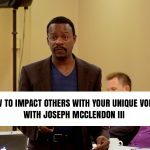 You don’t always have to spend thousands of dollars to network with high-caliber people, but you do have to find a way to hear the messages of the influencers in your niche. In addition, he suggests eliminating the relationships with the “toxic” people in your life who are “emotional vampires”. One of Cole’s last tips was his best, which is don’t be afraid of a “no”. You miss 100% of the shots you don’t take, and by hearing no or being rejected it actually just means you’re in the same place where you started. So, never let that hold you back. If you enjoyed this 2-part interview with Cole, check out the interview we did with one of Cole’s mentors, top podcaster, John Lee Dumas! Watch “Becoming a 7-Figure Podcaster” HERE! Inspired to give and go live bigger? If so, leave a comment below and on any of our episodes in the month of May to be automatically entered into our Life On Contest! Get more entires and increase your chances of winning on each episode! See all the prizes HERE!